Coping with Stress consists of 50 short chapters that can be dipped into as needed, whether in a doctor’s surgery, sitting on the train or before going to bed at night. While the topic is serious, the content is, for the most part, light and entertaining. The book offers a menu of strategies on how to cope with the stress that most of us experience in our daily lives. Readers are urged to become their own therapist and decide which strategies work best for them. Dr. Mark Harrold calls on his extensive experience in working with thousands of people to help them take control of their lives. Avoiding jargon and psychobabble, Dr Harrold provides the perfect toolkit to manage the pressures of contemporary life. 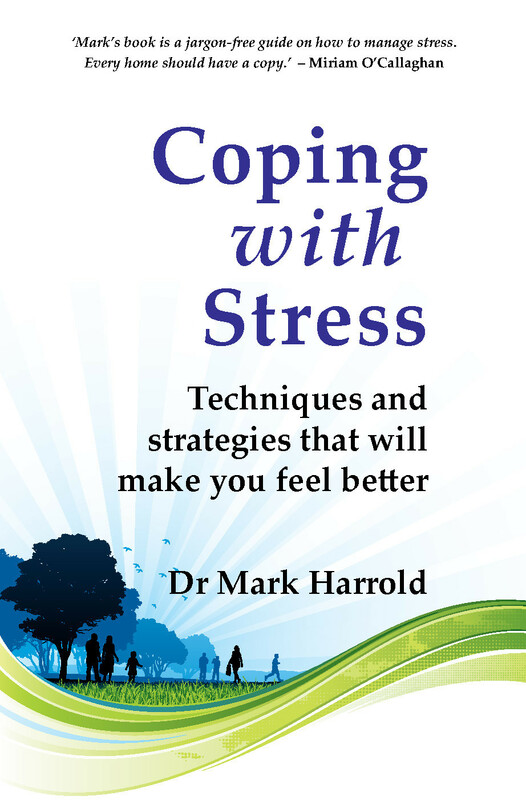 Dr. Mark Harrold is a Clinical Psychologist who has practised in Ireland for the past 24 years. He writes regularly for The Irish Times in the ‘Health and Family’ supplement and has given workshops in the U.S., U.K., Australia, Romania and Ireland. He is the author of Parenting and Privilege: Raising Children in an Affluent Society and regularly appears on radio programmes chatting with Matt Cooper, Miriam O’Callaghan, Pat Kenny, George Hook and Ryan Tubridy, among others. Visit his website at http://drmarkharrold.com.